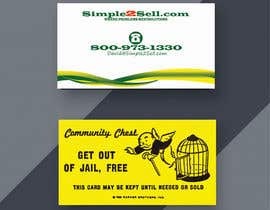 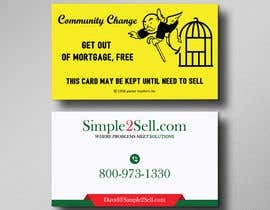 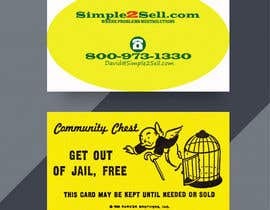 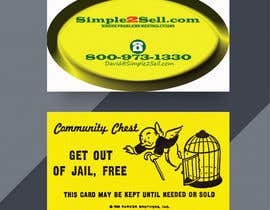 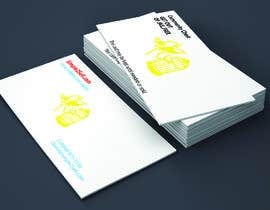 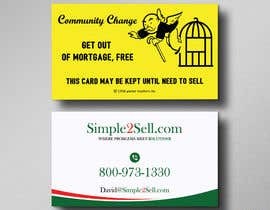 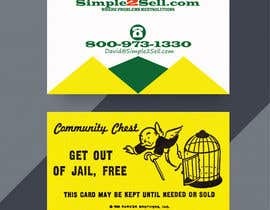 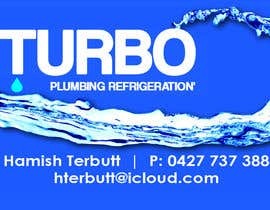 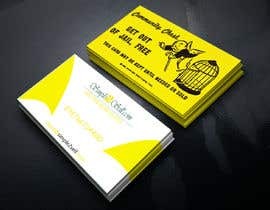 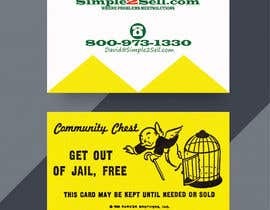 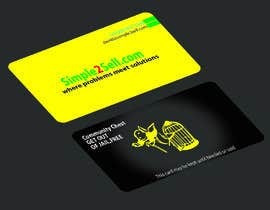 Back side of card to be modified monopoly get out of jail card with all graphics. 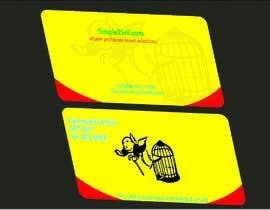 Bird cage to be modified to look like a see through house with bars like original bird cage. 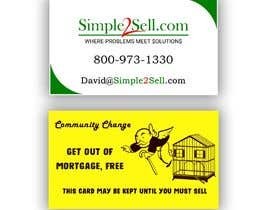 I want the number 2 to be larger than other print and to extend above and below "e" in simple and "s" in sell. Maybe to be more like a check at base of the 2.